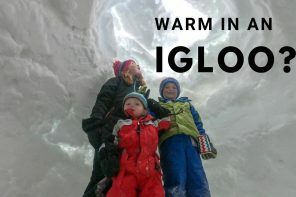 We couldn’t let winter jump on us without one more grand adventure. So what did we do, we took Mason out of school and it was a boys trip to bring the summer fun to an end. 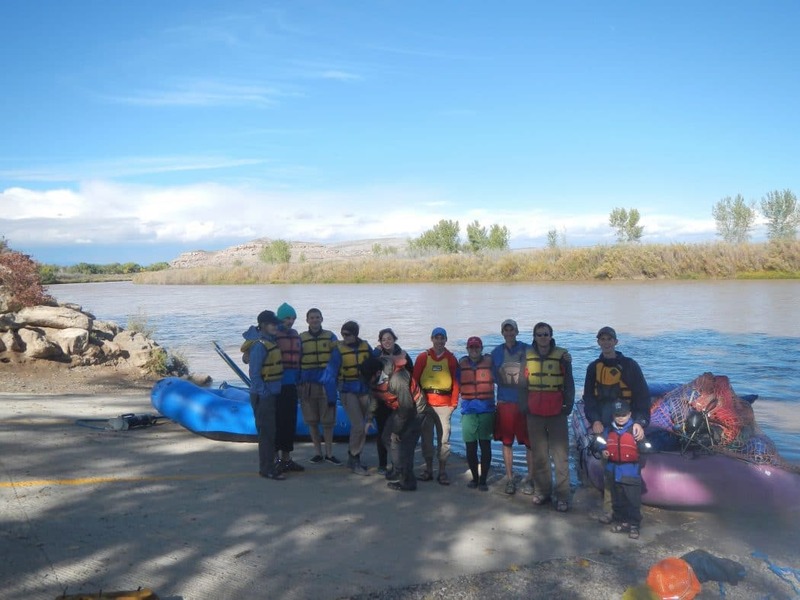 In mid October, we joined some friends and the great people from Runoff River Adventures on another overnight rafting trip. 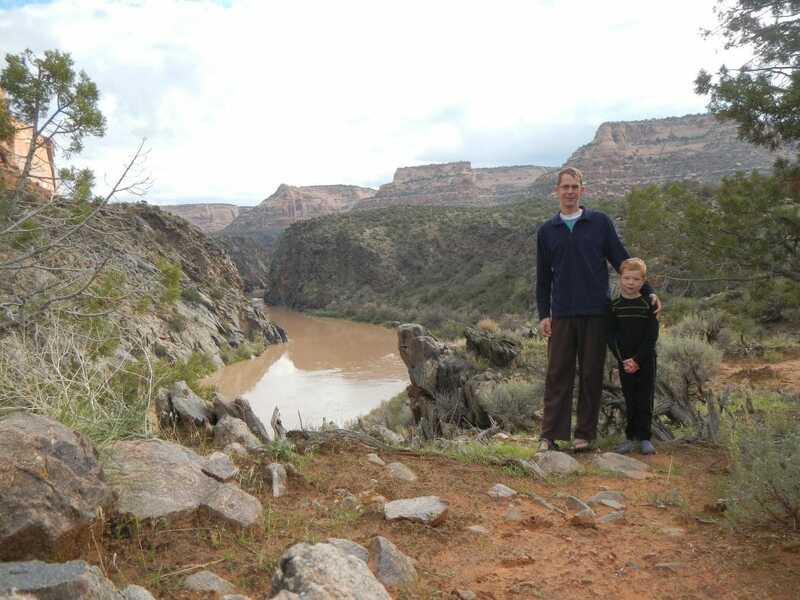 Two weeks before we’d taken the whole family on the Ruby Horsetheif section of the Colorado River. This weekend we just continued the adventure. This is a 17 mile strech of river with a bunch of class III rapids and one class IV. In preparation for the trip, we talked with Mason about the possibility of flipping. We watched videos of others running this section, some of them flipping, so he had an idea. He was excited and wanted to go. So we prepared him mentally, then we prepared him with warm clothes, a wetsuit and a few more things just in case we did flip. Like the boy scout motto, Be Prepared! The first drama was whether or not we could actually go. Due to the government shutdown, since all of the permits, the boat launches and land access is run by the BLM, it was shut down. Luckily the day before the County had taken over and allowed those with permits to use them. The night before, Mason had some reservations. We talked about it, walked through what we could control, what we could prepare for and what we would do, but that in the end, we still might flip. That was the risk. Then we left it with him to decide if he wanted to go or not. It took him about 30 minutes, but he came back to us and had decided that he wanted to go. 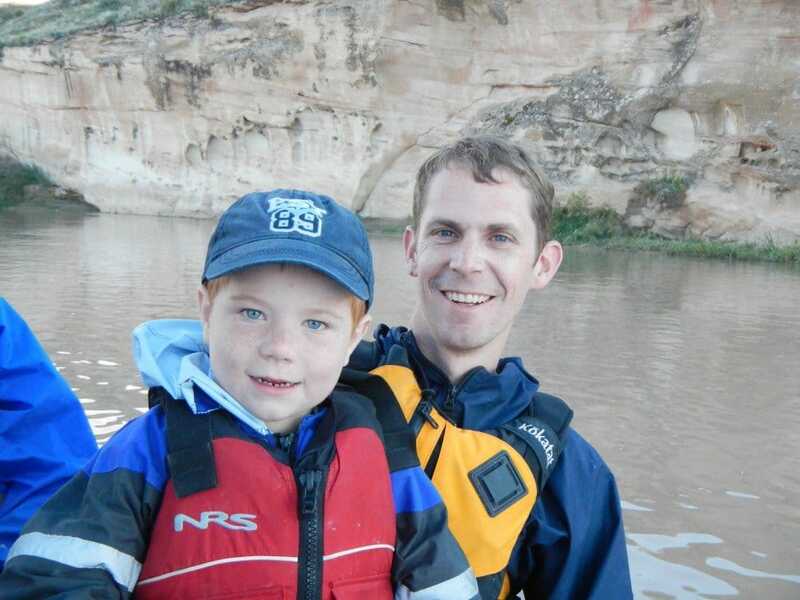 Yes, that’s putting a lot of trust in our 6 year old’s judgement, but from our end, we were with a very experienced group, we’d prepared him through other trips, he’d proven his abilities to have fun on the water, despite the cold, and he could decide what he wanted. We had a very early start and it rained and snowed on us for over 4 hours on the way to Grand Junction. It was cold and as we left Colorado into Utah, the sun finally came out and the temperatures began to climb. We got ready and got on the river late, around 3:30 and made it to our campsite around 6:00, but due to running late in the year, and being in a deep canyon, the sun was already down. Thanks to Ecorox Speaker, we had some good times on the flat water section and kept Mason from getting too cold and we had a little dance party on the boat. We set up camp, cooked dinner and as soon as that was over, Mason was pretty tired. We had to cook Smores, then off to bed. One of the beauties of getting out a lot is that I always get to sleep more. There’s no point to staying up until midnight wasting time on the web. You get to hang out around the fire, tell stories, laugh, and enjoy the stars, then you get in bed by 9:30 or 10:00 because it’s already been dark for hours. In the morning, we relaxed and had a slow start. So Mason and I went for a hike. 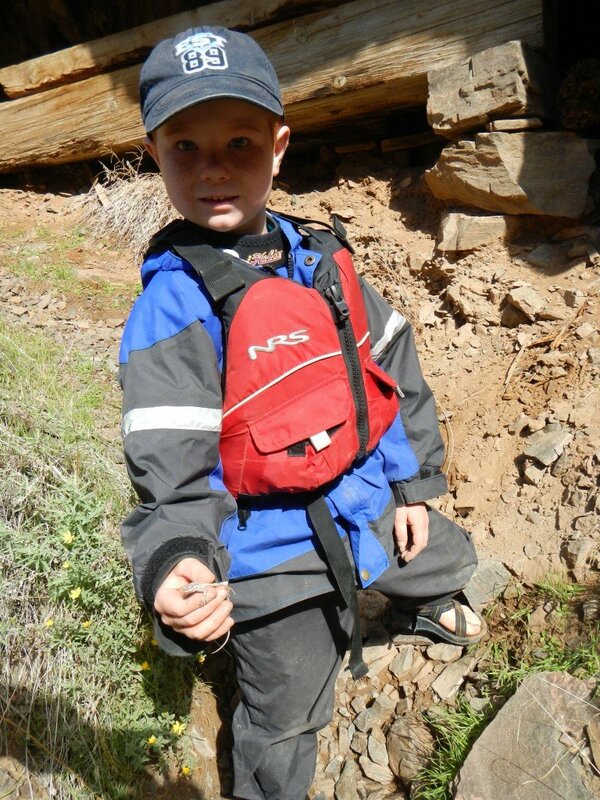 We explored, had some good views, and got to throw rocks into the river from a 200 foot cliff. What kid wouldn’t be excited about that? Then around 11:00 the sun was out, the air had warmed up and we were ready to take on the rapids. We made a quick stop at the outlaw cave and did some lizard catching. The ride through the main part of Westwater is a ton of fun. You have about 6 miles that are one rapid right after another. It is a classic whitewater run and Mason didn’t want to miss out. He loved it and got so excited when we’d hit a big wave and water would fly up and get us wet. Then we got to the biggest rapid, Skull Rapid. With three boats in our group, we pulled over and scouted the rapid. The rain and snow from the day before had caused the river to be full of silt and to rise, so it was bigger than we had expected. The whole right side of the river was a giant hole that we wanted to avoid. The first two boats made it through with a wild ride, but no trouble. Then it was our turn. 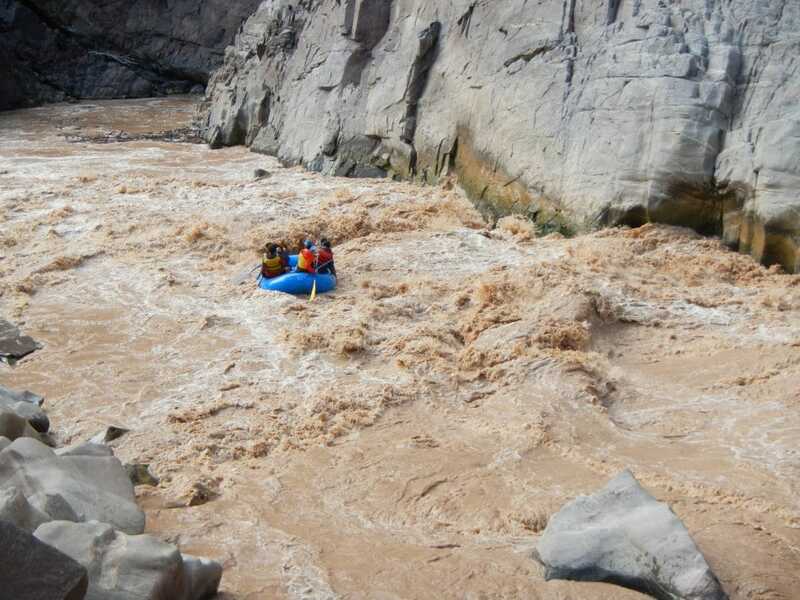 We entered the rapid on the tongue, hit the first two waves fine, but were trying to maneuver left when we got to the big hole and hit it sideways. We rode there for a second or two, then in slow motion, the boat rode up, up and rolled over. The gear boat and all of us in it were now upsidedown and headed down stream. Now before you go judging me thinking that I’m the worst parent and no one should ever put their child at risk like this, take a look at it. 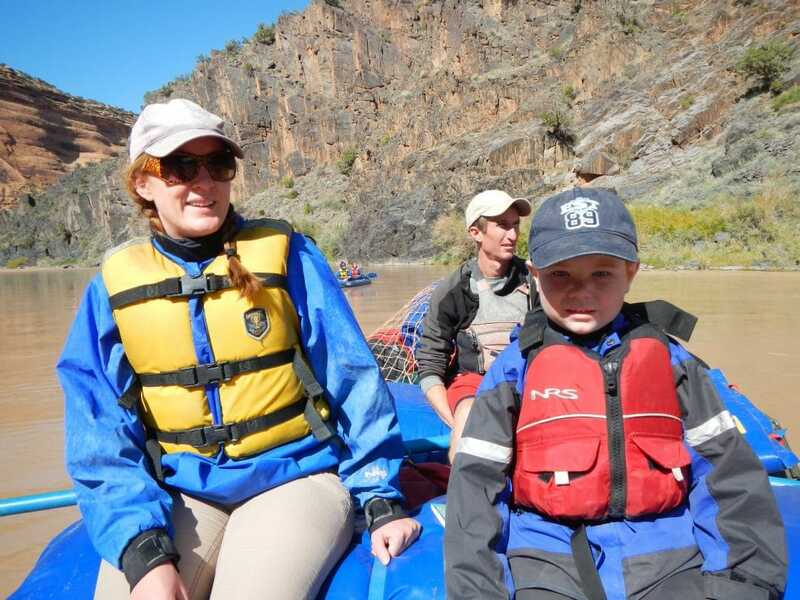 Mason has already had years of river experience and many multi-day trips under his belt. He knows the rafting part, he knows the whitewater and although he didn’t want to flip, he was prepared for it and so was I. Out of the water and safe in another boat! I held tight to Mason as we flipped and pulled him away from the boat so we could get our bearings. 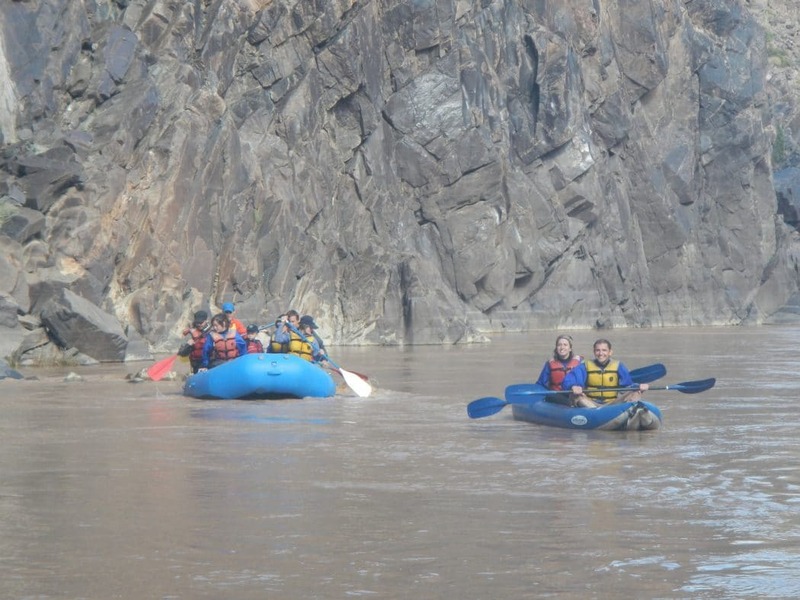 We were headed down river, away from the rocks, and so we grabbed onto the side for the raft. The whole focus is on Mason and making sure that he is ok. He was crying because we flipped (what many people would do too), but otherwise was fine. Our friends paddled up to us and pulled Mason into their boat and he stopped whining. He was out of the water and he was good. It took us a few minutes to get the boat flipped and we had a few things float away. The only real mishap was having our boatman dislocated his shoulder while we were trying to flip the boat back over. 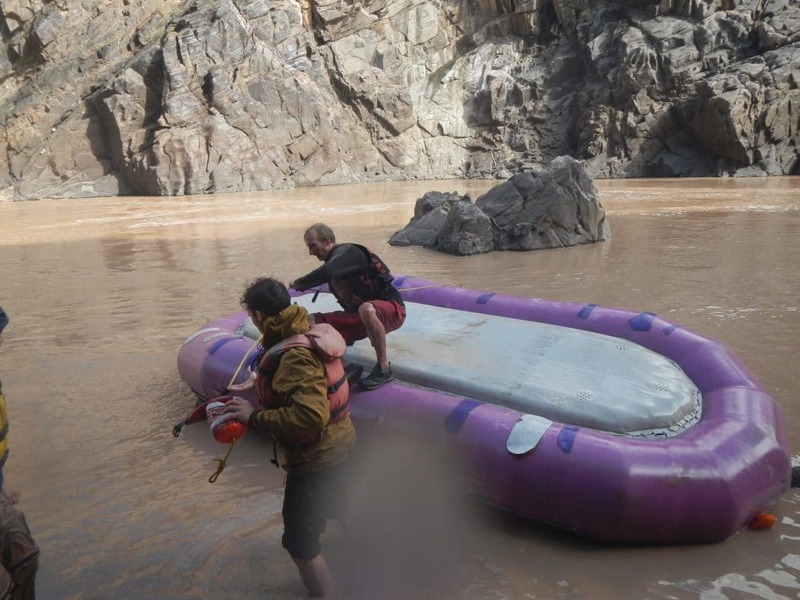 The next rapid, Sock-it-too-me rapid almost got us again, but luckily we were ready and rode through without more carnage from our boat, but the boat behind us flipped, so we went into rescue mode again to help out. Mason and the other boat had gone ahead and were waiting to collect any additional gear floating down, so they were fine. We met up, found a beach and dried off during lunch. Was it necessary to take a younger kid on this trip? No. Were we able to? Yes. It gave Mason a chance to decide if he wanted to do it and also to prepare for a bad outcome. In this case, being prepared he came through knowing that he can be prepared for when things go wrong in the future. Would he do it again? His answer is “I want to do it again, I just don’t want to flip this time”. I think I’m with him on that one! All smiles by the end of the day! 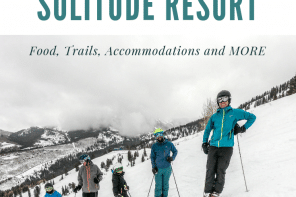 Good answer, so we’ll be working on that and we’ll take a break from the rafting and let the snows come and start our next season of fun, Winter! That sounds like a grand trip and you had loads of fun. 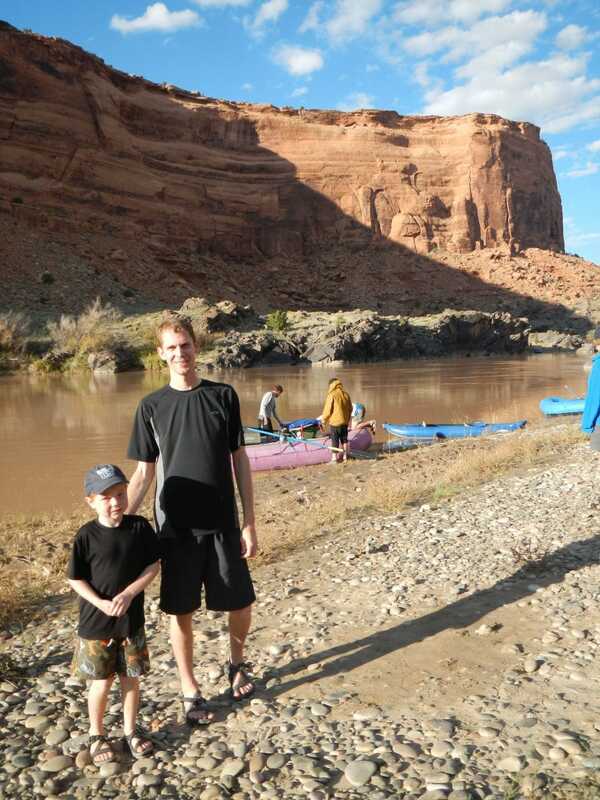 We can’t wait until Matt is old enough (probably in a couple years when he’s six or seven) to take rafting. A flipping is scary but I have to say there are many worse case scenarios. Love your story! Yes, it’s too bad you guys were Donny’s first gear boat flip. I have to say, I think this was a terrible decision. You seem out to prove something, and what you should be teaching your boy is how to read the water, and be comfortable in walking a section that’s too technical. You were a hair’s breath from losing your child. I hope you learned more than you let on with this lesson. 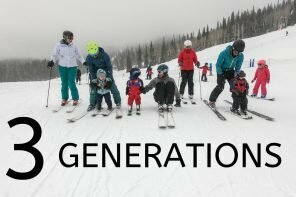 Just because you can bring your kids, doesn’t mean you should. RiverRat – Thank you for sharing your opinion. Yes, we could easily get into a big argument here however, that is not the intent of our site. 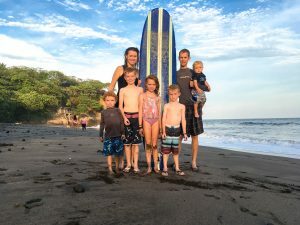 Our goal is to encourage parents to be adventurous with their children, but the reality is that sometimes things do not go as planned. As you can see in our article, we had thoroughly prepared both Mason and all the adults along for the situation. However, sometimes despite the best planning, things do go wrong and we fell like it’s important to share that. We work incredibly hard to teach our children not only to understand the water but to respect it. Additionally, this is not a section that would be safe for a young child to walk around with very difficult access back to the water where a boat could easily miss pulling off. 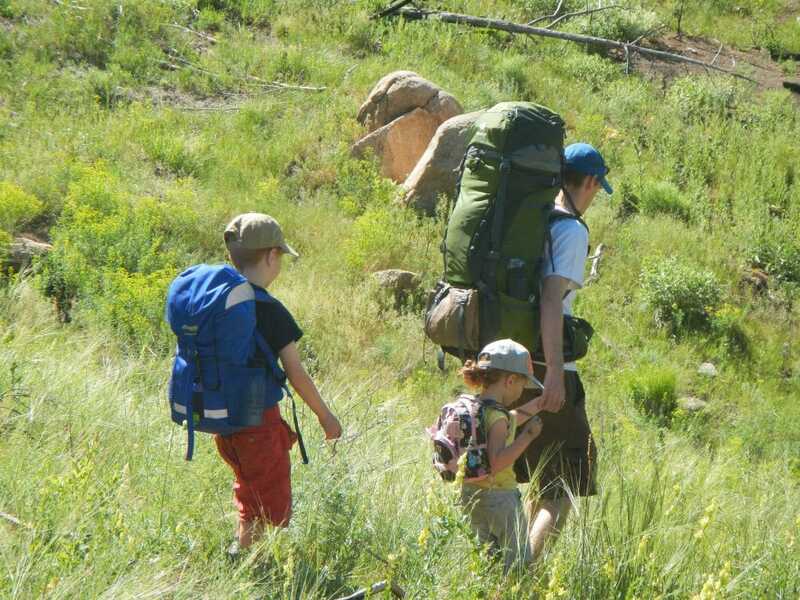 Just because we have kids, doesn’t mean that we or they need to always sit on the sidelines. 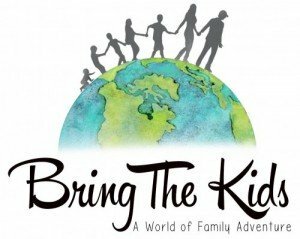 To your point, just because you can bring your kids doesn’t mean you should, we purposely didn’t bring our other children. Based on his experience (which is more than many adults have) he was well prepared for this situation and that is a call that only we as his parents can make.